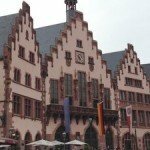 I attended my first Frankfurt Bookfair this month, and what a good time I had! Most years I visit the London Bookfair, held in April, and Mr B and I attended the Book Expo America (BEA) in New York a few years ago. 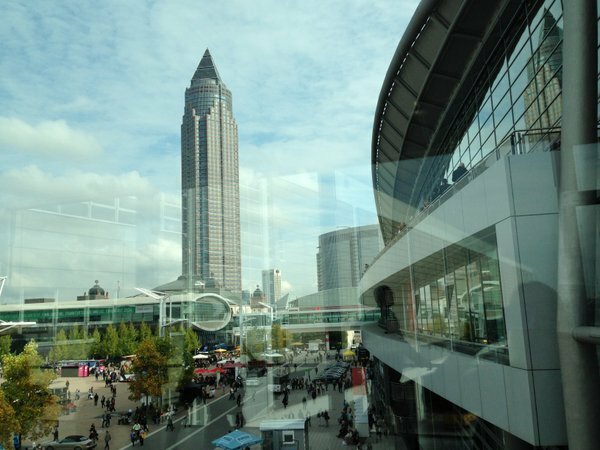 Frankfurt Bookfair is one of the largest; a place where literary agents and publishers spend long hours battling out rights deals. I’ve heard it said that the concept of authors attending bookfairs is as daft as cows choosing to visit a cattle market! However, increasingly more and more authors do, because bookfairs are our tradefairs and can be very useful indeed. My visit started off very promisingly when I literally bumped into Jo Fletcher at Frankfurt Hauptbahnhof, whilst trying to get a taxi to my accommodation. 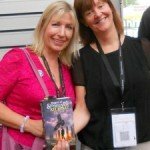 Jo is the editor who originally bought Stonewylde for Gollancz – sadly just after the deal was struck, she was lured away to Quercus Books to head up her very own imprint, Jo Fletcher Books. It was great to see a familiar face after a long journey delayed for hours by thunderstorms, and the next day at the bookfair I went along to the massive Hachette stand to have a proper chat with her. 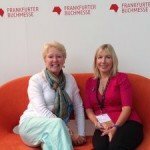 I’d been invited to Frankfurt by the marketing guru, Dr Alison Baverstock. She is Associate Professor of Publishing at Kingston University, and the author of many books, most famously the industry standard text ‘How to Market Books’. 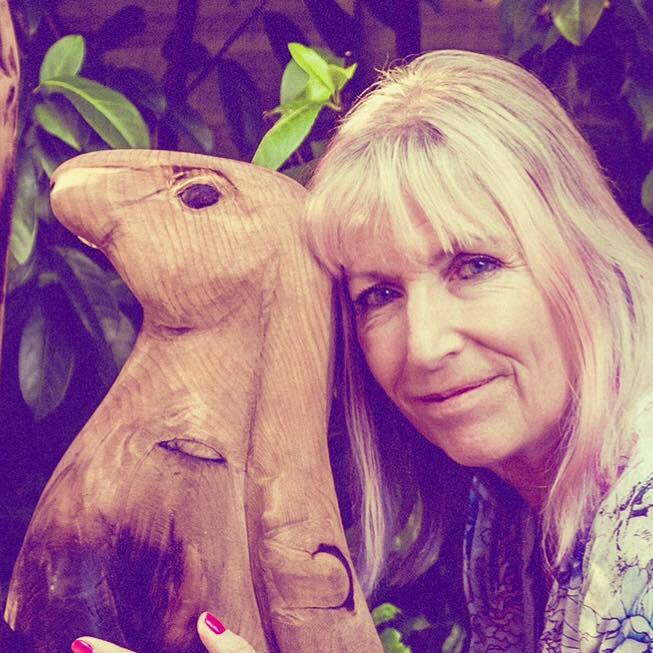 She interviewed me recently for the new (fifth!) edition to be published soon, and then invited me to join her at the bookfair. She was running a whole day event on the Saturday, on the Publishing Perspectives stage, and wanted me to join the panel for the ‘Author Success Stories’ slot. I shared the stage with two others: buy phentermine new zealand Dmitry Glukhovsky, a young Russian author who’s found global fame with his dystopian novels, now made into computer games, and the founder of the worldwide Alliance of Independent Authors, Orna Ross. 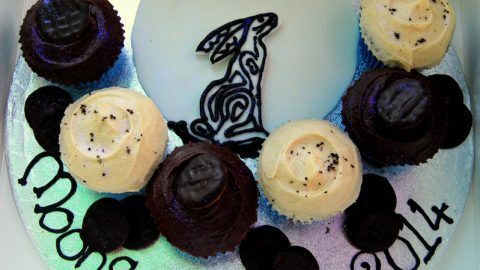 I was in very illustrious company! Orna and Dmitry spoke of global empires and I spoke of Stonewylde, and the moment when I stood with fifty of my readers at Monkton Wyld and watched the beautiful Harvest Moon rise, back in 2009. The audience was composed of many self-published and wannabe authors, and our talk was followed by a lively Q&A session. I really enjoyed it, and it was particularly good to meet Orna Ross who’s so inspirational. She more than anyone I think has changed the perception of self-published authors, whom she calls ‘author-publishers’. 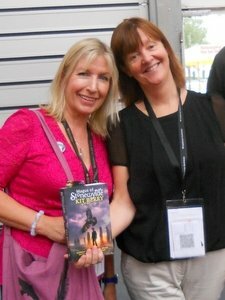 As soon as I returned to England I joined her Alliance of Independent Authors, known as ALLi. She, meanwhile, started to read Magus of Stonewylde! 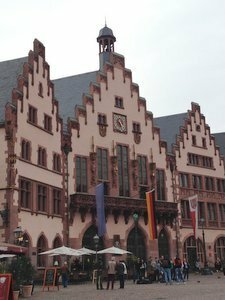 I had three days in Frankfurt in total – the bookfair is SO BIG and it was exhausting trawling backwards and forwards from Hall 8, where the international part is held, to the Business Club, where there were many interesting talks. 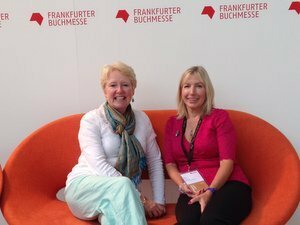 It was lovely to get to know Alison Baverstock better and we spent time in the evenings exploring Frankfurt a little – and avoiding those notorious parties! It seemed the whole city was abuzz with Bookfair or Buchmesse visitors, and anyone who says that books and publishing are on the decline should think again. I’m really glad I went. 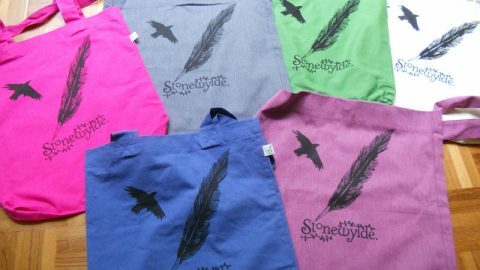 It was a great experience, and apart from the obvious benefit of promoting my Stonewylde series, I also picked up a lot of information/contacts/tips which will be invaluable for my next project. 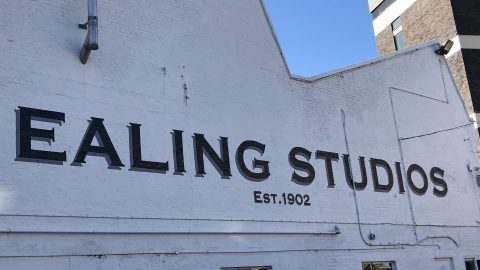 Well worth a visit, and roll on London Book Fair in the spring!